If you are a social person, you will love working in a hotel. You have the opportunity to work with so many different people on a daily basis. From customers, to other employees, you’ll have interesting conversations and can learn from them. Some jobs are a bore because you never get to communicate with anyone all day long. Hotels are the perfect place for social butterflies. In today’s world, it seems that costs are increasing every day. You need to be able to pay rent, bills, transportation, health, and more. In order to keep up, your job had better have decent wages. That’s the case with a job opening in Singapore hotels. Hotels are large organizations that serve international needs. The amount of revenue generated means that there are opportunities for you to create additional value and seek higher pay. That’s great news for anyone who cares about their finances. Some jobs have you speaking with people that are from the same area you are. There is nothing wrong with that. However, there is something to be said for an international environment. Different cultures have different styles and unique knowledge. It’s sort of like travel. When you work in an international facility, you learn things from people all around the world. This means you can have fun while you work. It also means you’ll be a more well-rounded person in the end. You might even pick up a new language in the process or have the ability to practice your English. Hotels operate 24/7. At any given point in the day, something is needing to be done in a hotel. This also means that different shifts are available. Obviously no one can be working all day, so they have different work positions available for your preferences. If you are a night owl, you’ll enjoy working the night shift. If you’re a morning person, there are plenty of early shifts available as well. And because the staff is usually so large in hotels, it shouldn’t be an issue to ask for a little well-deserved time off. Employers look kindly on those with previous hotel experience. It shows that you worked in large, organized environment. It means you can work with people and understand the importance of delivering a great customer experience. No matter what industry you choose after your hotel position, you will have an advantage. And if you decide to stay in the hotel industry, you can go virtually anywhere in the world to work in a very exciting and growing industry, as travel is certainly on the rise. If you see yourself as the kind of person that likes to face customers and help them check in and out, the front desk could be your place. It allows you to communicate with people all day and help them have a great experience. If you have experience in other service roles in the past, you’re already a step ahead of the competition. For those who are physically fit or on the younger side, being a bellhop can be a great start. You will be responsible for carrying peoples’ luggage and bringing them to their hotel room. One of the best parts of this role is that you can often receive extra compensation beyond your wages in the form of tips. Hotels need security more than any other commercial venture. With so much going on, someone needs to patrol the halls and prevent trouble. Also, the video room is where the cameras are monitored. If you find yourself being more shy, you might opt for that route. Valets can earn great tips. They need to be professional and know how to drive a variety of cars. If you are comfortable with driving, then this could be a great hotel job for you. Every great hotel needs great managers. Managers ensure employees complete their tasks. They also help customers with more advanced issues. Often times, you are able to have bonuses if the hotel performs well while you’re in charge. Most hotels today have restaurants. If you have experience in the food industry, you can earn decent money working in the front of the house. Be prepared to be groomed and have customer service skills. Everyone needs to eat. And hotel diners are some of the biggest spenders on the planet. 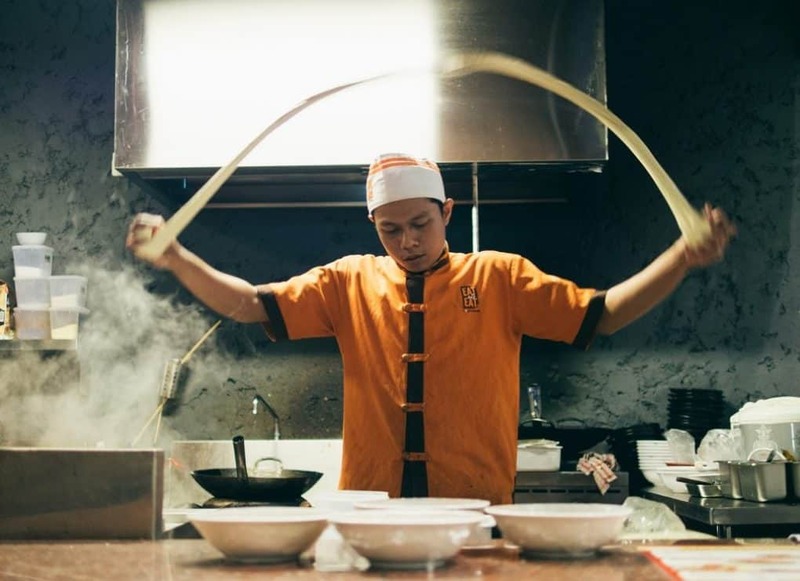 If you enjoy creating delicious meals for people, a hotel restaurant could be the best place for you to showcase your talent for the paying customers. There are often opportunities to advance into management as well. If you have previous experience in custodial or janitorial services, hotels are always in need of this. You can even earn tips if patrons like how clean you left the rooms for them. This can add up over time. Hotels are a business just like anything else. They need to compete with the rest of the hotels in their market. If you have marketing experience, you can find a job in a hotel. From online SEO, to in person marketing, finding ideal customers is something every hotel will hire for. Consider being creative with your approach, and you could even create additional opportunities for higher wages later on. Then, your marketing experience can lead to higher sales in a management position eventually. The technology behind hotels operates the entire network. The Wi-Fi and security of their systems is just one part of it. Then there comes the maintenance of the systems. Administrators are in as high demand as ever. When it comes to looking for work, it can be overwhelming. There are so many industries and positions. Luckily, it doesn’t need to be. With the right resources, tools, and techniques you can find exactly what you’re looking for. The jobs in hotels in Singapore are among the best opportunities for professionals looking to take the next step. It can set you up for your career now and into the future. Upload your CV and be sure to subscribe to our newsletter: you’ll get updates, the latest job notifications, and be alerted when the new Future Work marketplace opens. Subscribe to our site and we will notify you when the job board opens in early 2018. Where is the Best Place to Look for Jobs at Tech Startup Companies in Singapore?